Have you ever picked a flower because it tastes tangy and sweet? Have you learned how to prepare your grandmother’s most delicious meals? Do you know what kind of tea to make for a stomach ache? Ultimately, this is a book about tradition. 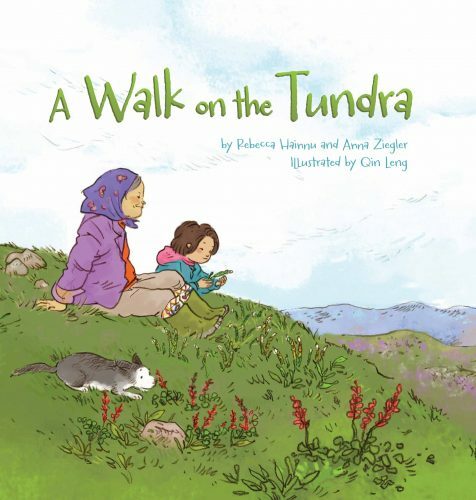 Our young protagonist, a native Inuit child named Inuujaq, sets out on a morning walk with her grandmother. To Inuujaq, the world outside her front door looks quiet and boring, the same as it does every other summer day. Inuujaq and her family live in the arctic tundra, which is often characterized by long hours of sunshine and darkness, freezing temperatures, and a barren landscape with rolling hills. Since there is not much to see or do on this ordinary day, Inuujaq figures she might as well go on a walk with grandma. But Inuujaq soon sees that grandma’s ordinary morning walk is full of extraordinary things that come from a long history of civilizations who have made their home in the arctic tundra. Traditional Language – This short story is full of Inuit (specifically Inuktitut) words and phrases. Use the Glossary in the back of the book to learn the pronunciation and meaning of more Inuktitut words and phrases. Traditional Practices – Learn about how grandma uses “qijuktaat” (a plant used to fuel cooking fires) and “iga” (a stone cooking platform) to make delicious meals. Traditional Ecological Knowledge – Learn about which arctic plants can be used for medicine, for tea, for cooking, for tools, and even to forecast the weather. At the end of the story, a plant glossary details each of the arctic plants grandma and Inuujaq encounter on their walk. The glossary is complete with real life images, child-friendly descriptions, and common indigenous uses. Traditional Respect – At the end of Inuujaq’s common, uncommon walk on the summer tundra, she finds a new respect for the Canadian Nunavut land her family calls home. After her walk on the tundra, Inuujaq also finds a new respect for her grandmother and her uncommon heritage. Get a copy of A Walk on the Tundra. Other children’s titles written by Rebecca Hainnu include A Walk on the Shoreline (2015) and The Spirit of the Sea (2017). In addition, both Anna Ziegler and Rebecca Hainnu have published adult titles focused on edible and medicinal arctic plants. Looking for inexpensive and interactive STEM activities for your classroom? Conducting science experiments with plants is an easy way to incorporate hands-on experiences to your curriculum.